December 3, 2014 November 9, 2018 Averica Discovery Services, Inc.
Paul Lefebvre has worked in separations and purification for over 25 years. His experience with purification has been as both a vendor and a customer. He joined Averica in 2008 as the company’s first hire. He has worked to grow Averica into a full service chromatography CRO including purification by SFC and HPLC. In November 2018 Paul Lefebvre became General Manager of Averica Discovery Services. Prior to Averica, Paul worked at Waters Corporation developing and advancing mass-directed purification. 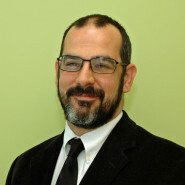 Dr. Berger brings over 20 years of experience working in analytical contract research and instrumentation companies. Prior to joining Averica Discovery, Dr. Berger served as Project Manager at PCI Synthesis, a contract manufacturing organization (CMO), where she managed million dollar projects developing drug substances. Previously, she served as Vice President and Co-Founder of Pion, Inc., an instrumentation company and CRO, where she oversaw instrumentation sales, the CRO laboratory, and project management. In addition to her responsibilities, Dr. Berger was a key contributor to the development of Pion’s instruments and intellectual property. She also established new markets for the company, expanding their service offerings. 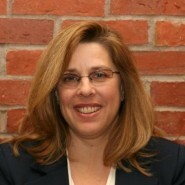 Dr. Berger earned her Ph.D. in Chemistry from Penn State University. You have a terrific business and have become my preferred provider of analytical development services. I will have lots more studies for you in the future.